So... the best way to finish a model you started years ago, is to start all over again. And that's exactly what I'm doing now. I find there's always one "problem" when you build a model from scratch: When you first start it, it goes real fast. 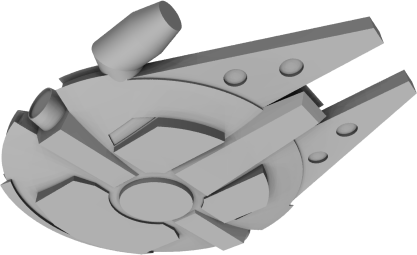 After a couple of days you already have something that looks like an unfinished Millennium Falcon. It's very rough, but since you've been working with big parts, you have an impressive model. Then, as you work along, the parts get smaller and smaller. You put more and more hours into the model but you don't really see as much progress. 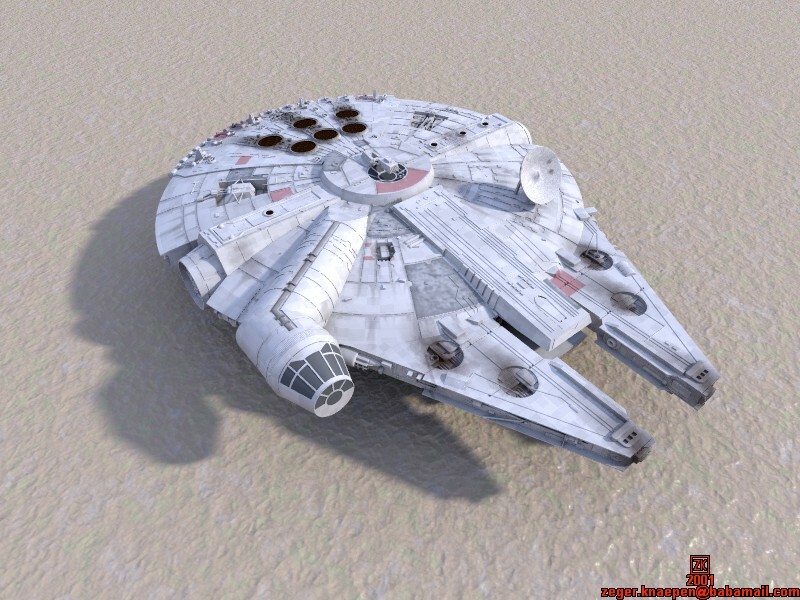 And weeks later, you still have an unfinished Millennium Falcon model. 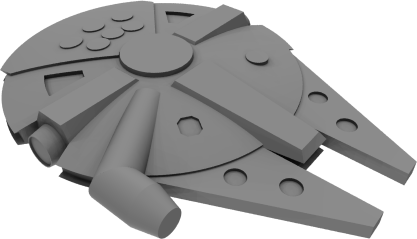 And months later: an unfinished Millennium Falcon model! I think, the best way to avoid that, is to start detailing entire sections, starting with small sections, and to not continue working on other section untill the section you're working on is fully detailed. 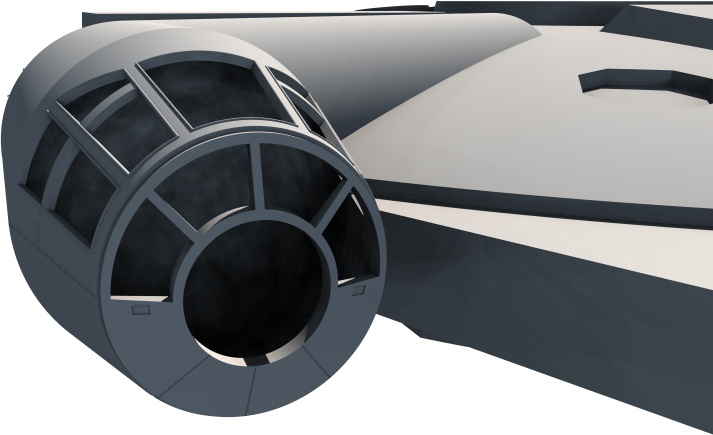 Please remember that, for now, I'm just *modeling* the Falcon. Texturing will happen afterwards. 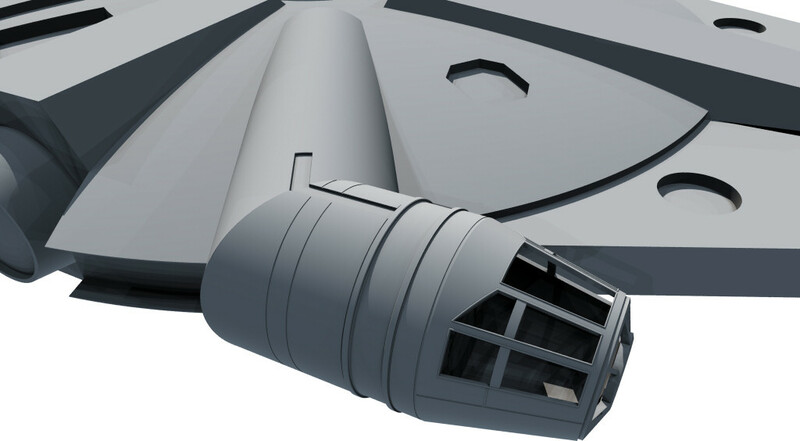 updated: 16 March 2007, created some macros that made it easier to make the "hull creases"